SabbaticalHomes.com members make their homes available for a variety of reasons but one of the most unique might just come from Ian Johnson and his partner Ien Ang. They are living in two countries, Australia and France. When they are away from one of their homes, they rent them out as a means to fund their adventures at the other home. 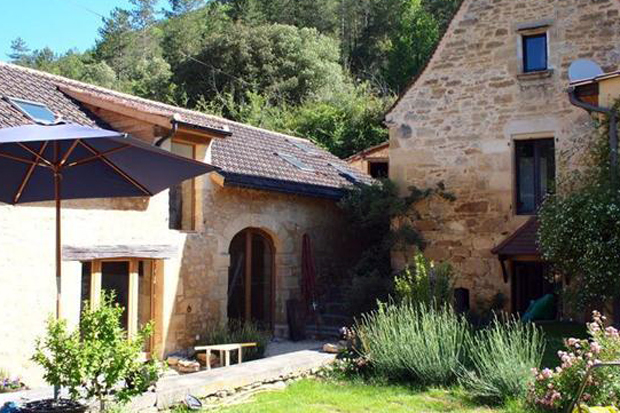 Not only that, these bicontinental travelers are renovating a dream home in France, one building at a time, with the help they get from their SabbaticalHomes.com connections. Johnson and Ang, are “based” in Sydney, Australia, but Johnson had been attracted to the Perigord region of France since he was a teenager visiting there with family. In 2008, they were able to purchase property there with multiple buildings including a wonderful old, stone barn. One of the reasons they liked the property was that it did have multiple buildings so that the family could stay there themselves while they were renting other parts of the property to visitors or to accommodate larger groups such as family reunions and small workshops. “We always viewed the Gite as primarily for rental once we finished the renovations on the other two buildings. The fact that it did not need much more work than a coat of paint was a great attraction since it meant we immediately had somewhere to live while we did the rest of the work,” said Johnson.The advantage of living in two different countries is the “break in rhythm” according to Johnson. The couple enjoys living near the center of a big city with its busy schedules and balancing that with the three or four months in the country and time to browse local markets and “bike down for croissants” allowing them to clear their heads for research and writing. “SabbaticalHomes.com has reliably helped us find renters in Sydney every time we’ve been away,” said Johnson, but he explains that traveling back and forth is not always easy. Sometimes even routine issues like forwarding mail can be tricky. Most of all, adapting to the two lifestyles takes effort. “Country living in France is a refreshing change from city life but requires a certain adaptation to a very local view of the world. Life revolves around local events and shared experiences, “ he explains. If you are considering a dual-continent lifestyle, Johnson suggests picking “which end of the trajectory is your real base” and make sure you have all your paperwork there, with digital copies on a flash-drive that you can travel with. “Make friends with your neighbors at both ends as they are your best resource when you are not around–and even when you are,” Johnson said. With the renovations complete, the couple has created a retreat suitable for family reunions and small academic workshops yet intimate enough for the two of them to call it home. To view this beautiful 18th century home, search Listing #50284 on our site, http://sabbaticalhomes.com/50284 Perhaps some of you will visit someday and see it first hand!